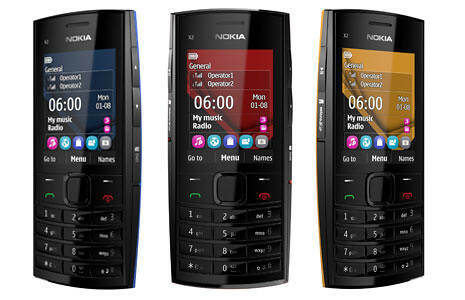 Nokia has recently launched the Nokia X2-02, a great music phone with Easy Swap Dual SIM. 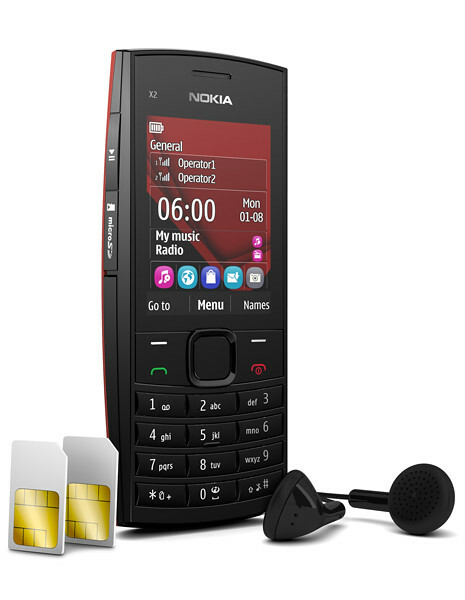 It has an internal FM antenna, MP3 player, dedicated music keys, recording capability, an in-built loudspeaker for music playback, and 32GB of memory space. The X2-02 also spots a special audio processing feature that is said to produce the clearest sound among all phones at similar price. “Play via Radio” feature lets you record songs directly from the radio, and then share playlists through the home music system, car, or other phones. Easy Swap allows you to move easily between as many as 5 SIM cards using a dedicated SIM manager. SIM cards can be swapped without having to turn off and reboot your phone. Each SIM can be given a name for easy management. The phone comes in five exciting colours – Bright Red, Dark Silver, Orange, Violet and Ocean Blue. The display is 2.2-inch, 240×320 pixels, and it comes with a 2-megapixel camera. The X2-02 will be made available soon with the price of 60 Euros before tax.